BBQ Silly Season is upon us. These are the cooks where we leave behind traditional meats, rubs, and sauces and try new recipes that are different and exciting. Our first cook did not disappoint. The Oldest had an outstanding first day of goose season and we were lucky enough to procure some beautiful looking breasts. I brined the breasts, seasoned, then glazed with a recipe I found on line. Let us head out to the smoker and see how this goose was cooked. After some Google searches, I found a recipe for a glaze that looked pretty good. You can find it here at allrecipes.com. I didn't any honey on hand, so I substituted hot pepper jelly in place of the honey. I changed up the method by brining the goose and using the marinade as a glaze. After trimming up the breasts, removing as much silver skin as possible, and inspecting for any tooth cracking buckshot, I whipped up a batch of my poultry brine and let the breasts go for a six hour swim. The brining process will remove most of the blood from the meat, infuse some flavor, and generally remove that gamy taste that you can experience when eating goose. After removing the breasts from the brine, I rinsed them with cold water, patted dry, and applied a thin coat of olive oil. 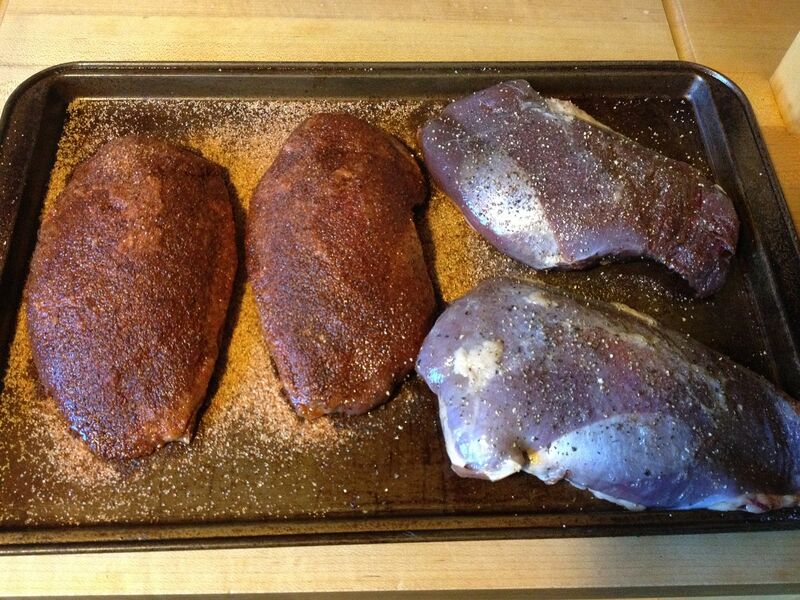 Then, I seasoned two of the breasts with Oakridge BBQ Game Bird and Chicken rub. The other two breasts were simply seasoned with pink salt and fresh cracked pepper. 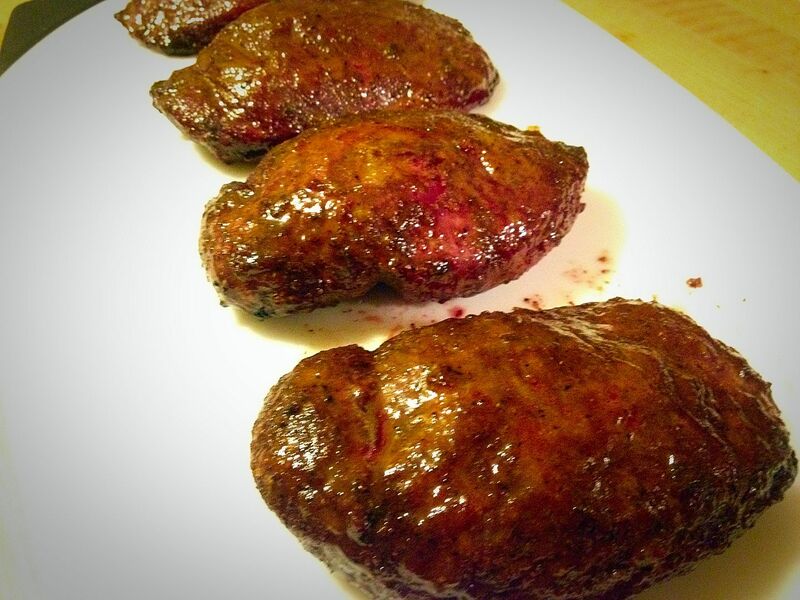 I sit the breasts on the counter to come to room temperature, then I lit my smoker and brought to a temperature of 300 F. Then, I placed some pecan splits in the ash pan for smoke flavor. 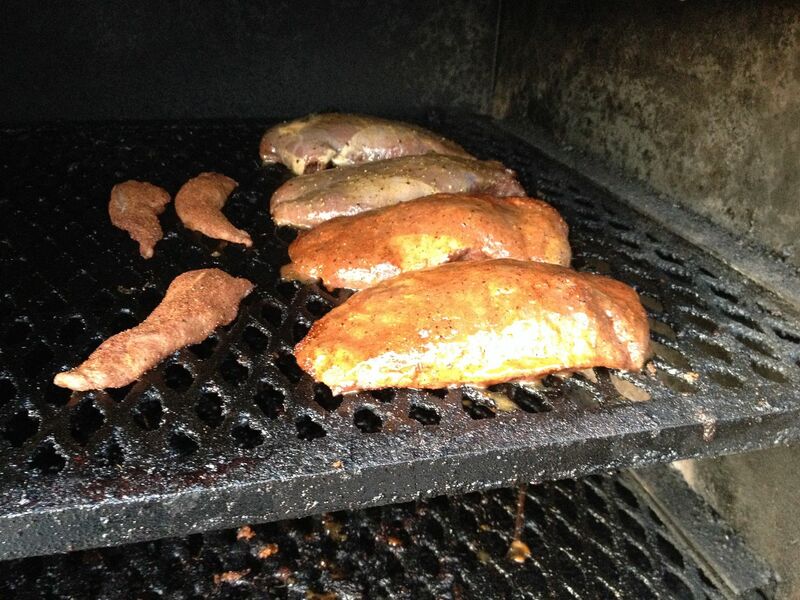 Pecan is a nice mild smoking wood that pairs nicely with any kind of poultry or game bird. The breasts were placed on hotter side of cooking racks. After allowing to brown up for about 15 minutes, I applied my first application of glaze to all sides of the breast. After allowing the first application of glaze to set for 30 minutes, I glazed the breasts a second time and allowed the goose to cook for 15 more minutes. Total cook time was 60 minutes. After removing the breasts from the smoker, I allowed them to rest for 10 minutes before slicing and serving. Twenty-four hours from field to table. You can't get much fresher than that. We were very happy with how this goose turned out on the smoker. No gamy flavor and tender, juicy meat. The glaze would even work well for standard chicken on the grill. Hunting season is young. Stay tuned as hopefully we will have a few more opportunities to fire up the smoker with some local game. Goose is very foreign to me. I am sure I would like it if you cooked it. I would highly recommend picking some up on your next meat adventure if you can Chilebrown. Good stuff!